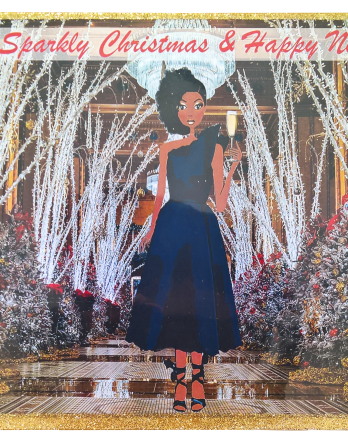 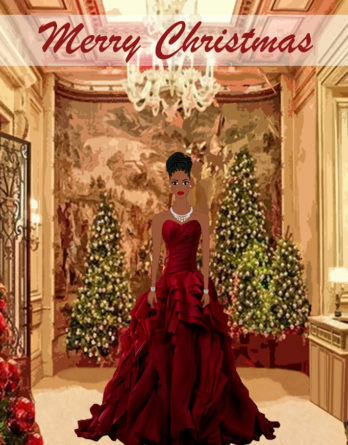 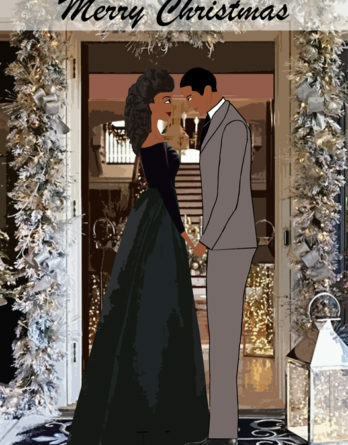 Our African American Christmas Cards and Mahogany Christmas Cards collection celebrates the festive spirit of love and black women across the world. 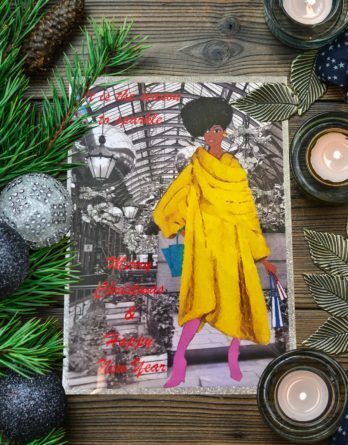 Handcrafted and designed by artist Doria-Adoukè, each card is illustrated with a fashion design and handcrafted to make it a unique and luxurious gift. 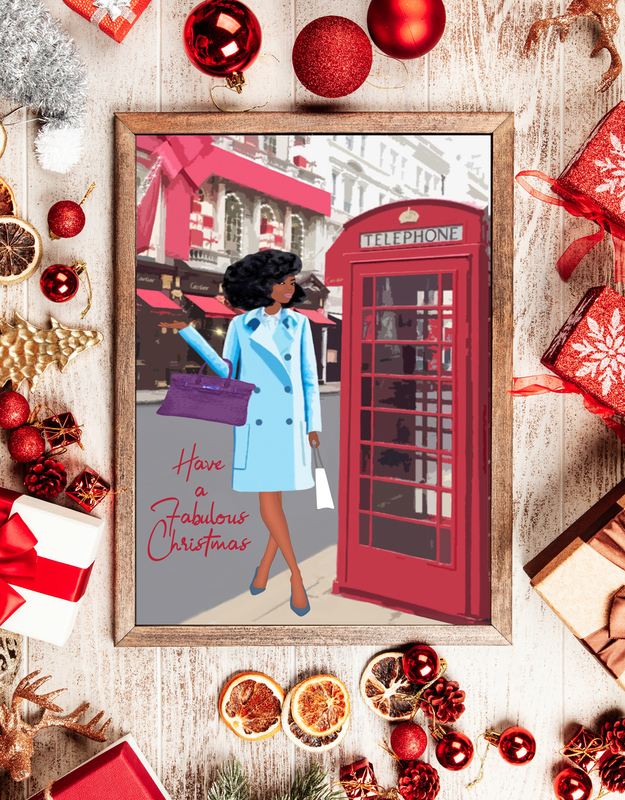 Our glamorous features include 3D touch, embellished jewellery and glitter. 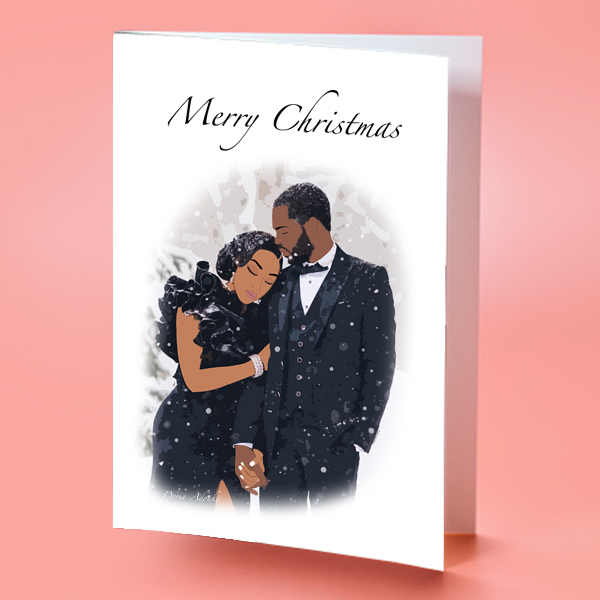 Send festive greetings to your family and friends with our Christmas Cards. 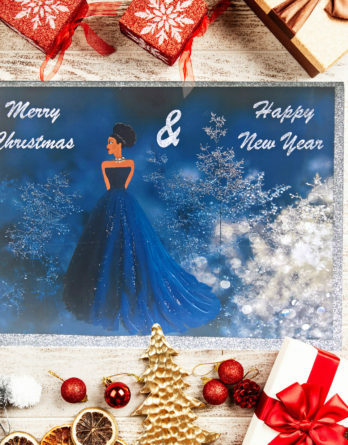 No matter who you are, whether African, Afro-Caribbean, Afro-Latino, or African American, you can be sure that the person you present the card to, will be proud to be so elegantly represented. 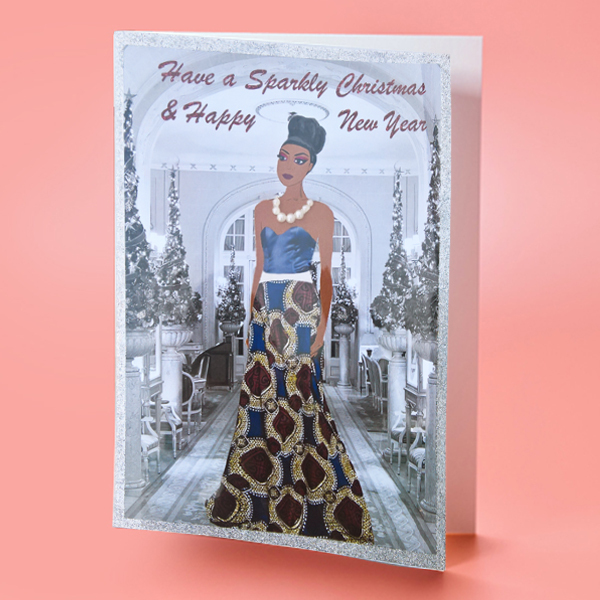 Discover our collection of Mahogany Cards including our chic African Christmas cards and our black girl Christmas cards.